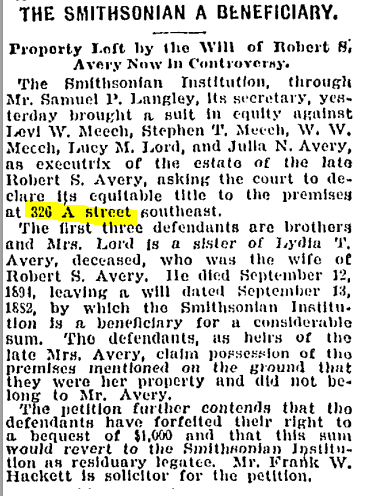 Washington Evening Star, 14 November 1894, p. 11. 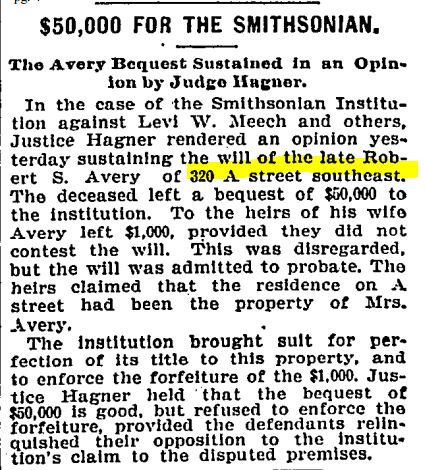 Washington Post, 5 June 1895, p. 4. “District of Columbia.” Baltimore Sun, 5 June 1895, p. 2. 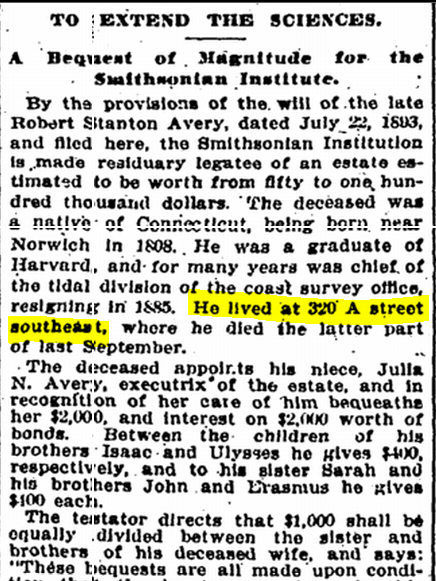 “Died.” Washington Post, 13 September 1894, p. 2. 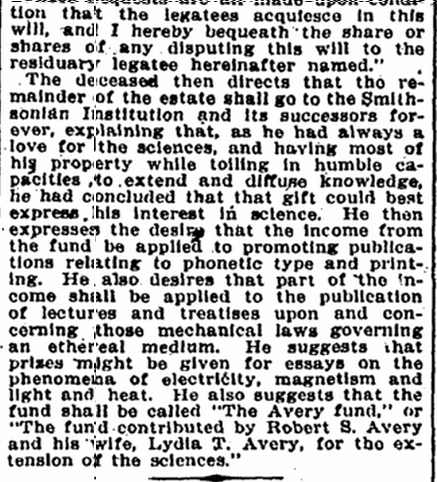 Washington Post, 26 January 1896, p. 4.